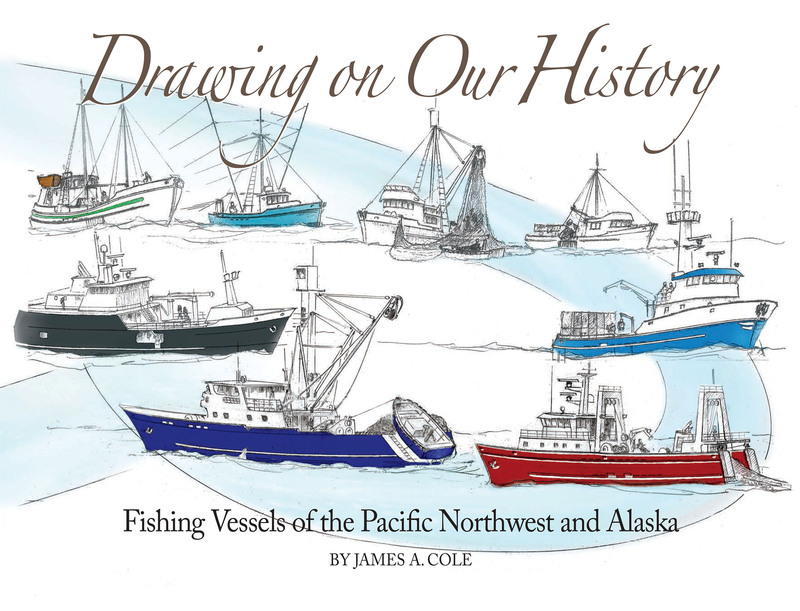 Author James Cole has spent 50 years designing, building, and repairing fishing vessels in the Seattle area. As a naval architect, he specializes in research-based paintings and drawings of fishing vessels at work. Drawing on our History: The Fishing Vessels of the Pacific Northwest & Alaska describes the evolution of fishing vessel design that is unique to the Pacific Northwest, from native fishing canoes to the modern fishing fleets of Alaska and the Pacific Northwest.